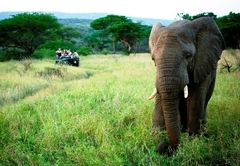 Thula Thula Private Game Reserve is a KwaZulu Natal game lodge providing a wildlife experience for tourists visiting Zululand. 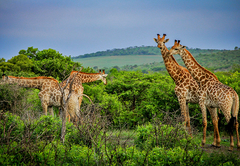 Thula Thula, with its centuries of cultural and wildlife heritage, takes pride in tracing back it's origin to the private hunting grounds of King Shaka, founder of the Zulu Empire. 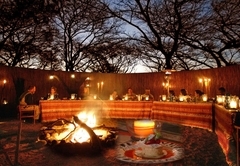 The first historic meeting between Shaka and his father (Senzangakhona), which set the stage for the creation of the Zulu Nation, took place at the Nseleni River at Thula Thula. 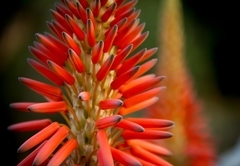 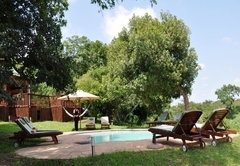 The 4500 ha private game reserve Thula Thula is situated only 45 minutes from Richards Bay harbour and airport, and less than 2 hours drive from Durban. 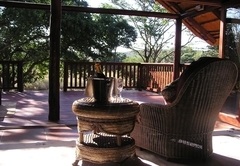 There is a 700m airstrip on the property. 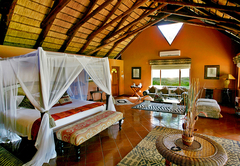 Enjoy our exquisite luxurious accommodation with spectacular views. 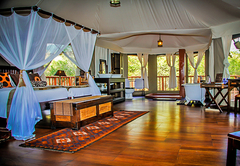 There is also a central living area, boma, viewing deck, wine cellar, swimming pool, The Marula bar, conference centre, private lounge with bar and library. 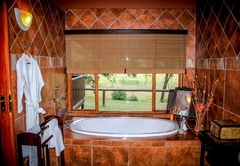 Contains a king size bed / 2x three quarter beds, a wardrobe, bath, outdoor shower and tea / coffee making facilities. 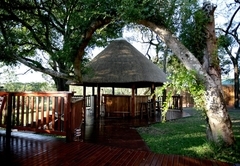 Contains a queen size bed, en-suite shower, air conditioning, private veranda and tea / coffee making facilities. 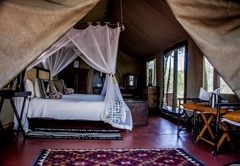 Contains 3x three quarter beds and a single bed, a mosquito net, fan, full bathroom with Victorian bath, outside shower and a private viewing deck. 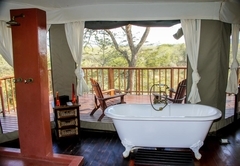 Contains 2x three quarter beds and en-suite bathroom with a bath and shower, air conditioning, private veranda and a tea / coffee station. 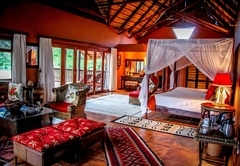 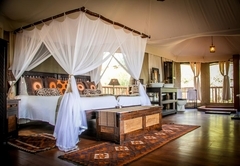 Contains a king size four poster bed, lounge, large full bathroom, air conditioning, veranda with views of the waterhole and a tea / coffee station. 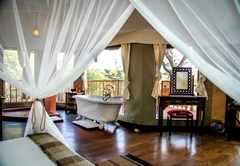 This executive suite has 2x four poster double beds, a lounge area, air conditioning, a large bathroom, full viewing deck and tea / coffee making facilities. 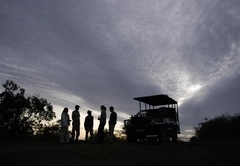 Open vehicle game drives, bush walks. 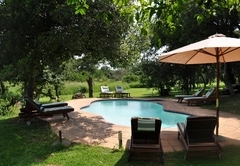 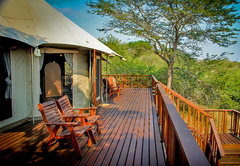 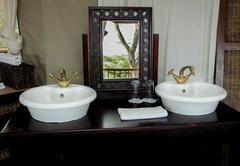 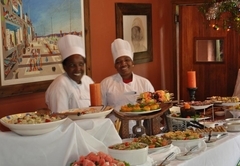 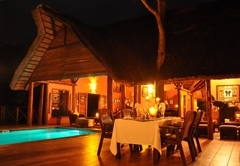 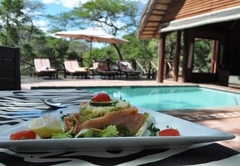 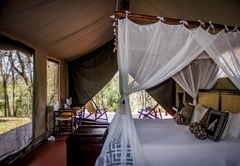 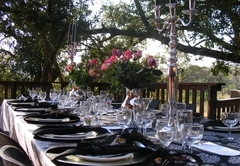 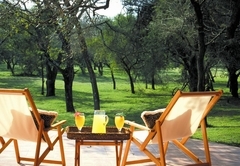 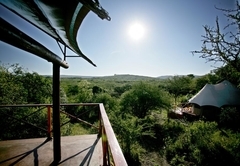 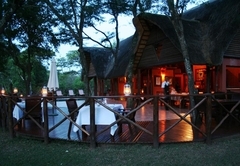 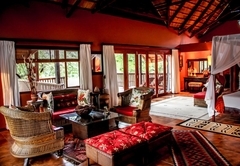 Luxury accommodation in stunning bush tents or safari lodge suites. 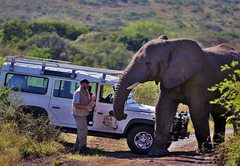 Game / wildlife activities: Two open Land Rover safaris a day with professional rangers and trackers, bush walk with experienced trackers. 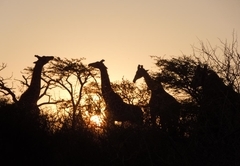 Game activities include elephant and rhino tracking in open Land Rovers, leopard tracking during bush walks in the riverbed, night drives with hyena call out and great bird watching (370 species including raptors) from your private verandah. 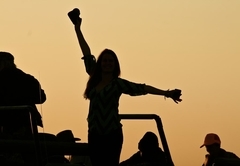 Personal bar account, curio shop account, transfers, or day excursions and gratuity. 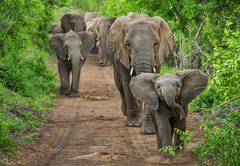 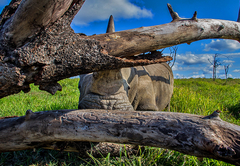 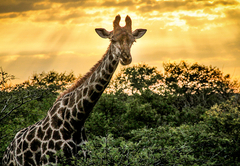 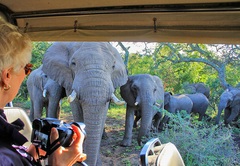 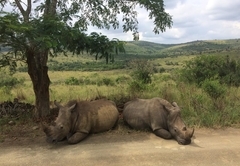 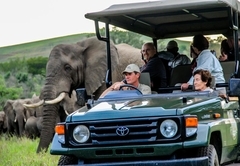 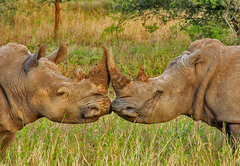 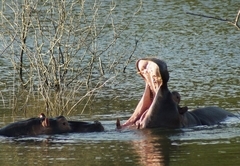 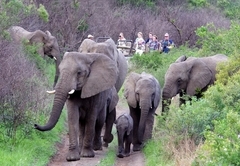 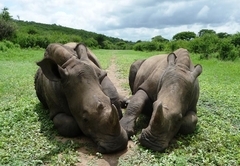 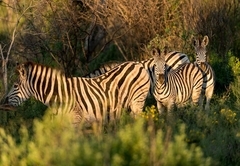 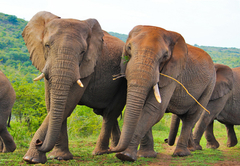 Response timeThula Thula Private Game Reserve typically responds to requests in 5-10 minutes. 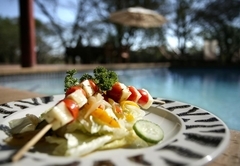 Children 8 to 12 pay 50% of adult rate if sharing with parents or adults. 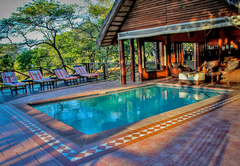 Children 12 years and above pay full adult rate.